I’ve had this quilt in my head for awhile…but it was getting it onto paper and actually made that was the trick! 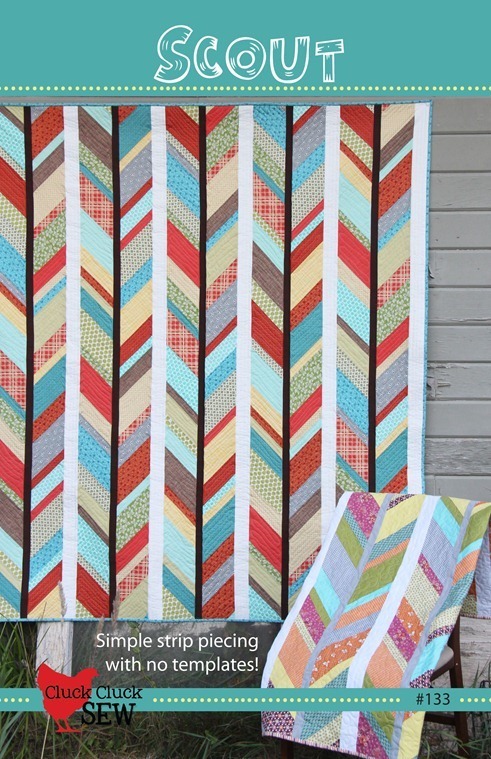 It is a strip pieced quilt, and the strip sets are cut on the diagonal…no templates necessary. This quilt reminds me of my oldest son that is in love with his bow and arrow and everything outdoors. The fabrics are mostly from the Chicopee line of fabrics by Denyse Schmidt. I really loved the fall tones in this line…and it matches the colors of the trees right now. You can find the pattern here in my pattern shop. I left my husband in Quilt Market holding down the fort…so I better scoot! I love this quilt! It is perfect for fall. Oooh, I really like this one! And I love how your husband is your Quilt Market guy Friday – good man. Very cool! Love this design. What a gorgeous quilt, I love it! Just had to say that I really like your new quilt. Enjoy market. The quilt is awesome! I love your quilts! I am always impressed with how many you are able to make with your little ones running about. Do you have a long arm machine for quilting or do you do it all on a regular machine? How long does it take you to make one? I am just about finished my first 'official' quilt (I have made a few prior but always cheated and did them inside out then flipped them to sew the edges easy). I just have to sew the back of the binding and it's done. I feel very proud! this is gorgeous. could a whole bunch of layer cakes work? I absolutely love this pattern! Beautiful!! Beautiful! 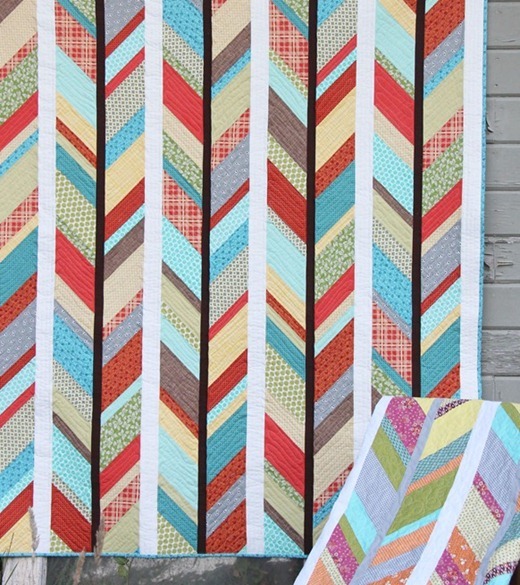 While you see the imperfections it's the total quilt you should be seeing. No one will see what you see. I have had this problem but have trained myself to look at the final product WITHOUT trying to find my mistakes (or creative quilting). wow, another fantastic quilt, I so love your style and your patterns are written so well, definitely my most favorite of all the patterns I've tried so far. I really like the quilt. Have fun at market. Another great quilt! My son likes arrows too, but he's more into dark fabrics ~ like black and grey. I think it could work tho. Wow! I am always impressed when someone can take an idea and make a pattern out of it. 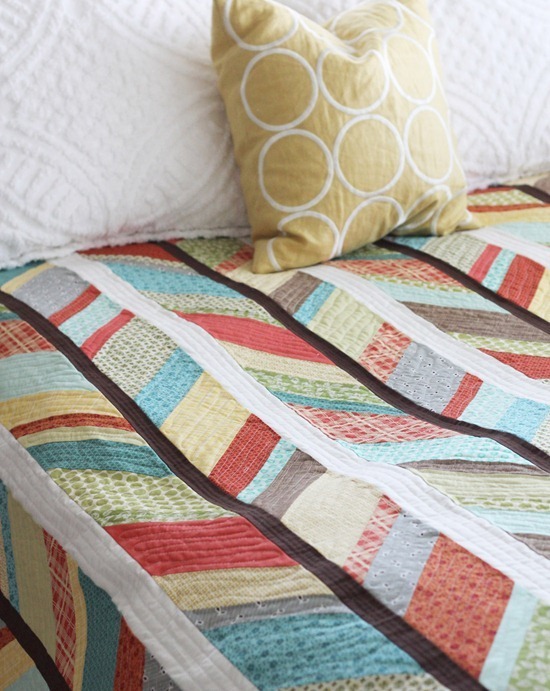 Love the look of this quilt. Thanks for sharing your amazing talents with little ole me. I might have to just buy this pattern and make this one. This one is WAY COOL. Enjoy market. I saw this quilt at market. It is eye catching! Lovely! I just went and bought the pattern for Scout and Ring Toss. I don't normally buy patterns anymore, but these two really spoke to me. I'm thinking Ring Toss will make some great quilts for my boys. Packers movers gurgaon – Welcome to Safe Packers Movers – packers movers gurgaon, Trusted name for packers movers in delhi, Bangalore, pune, Mumbai in India. This pattern is amazing–it looks complicated but is very do-able and fun. Thanks for letting me pattern test! !